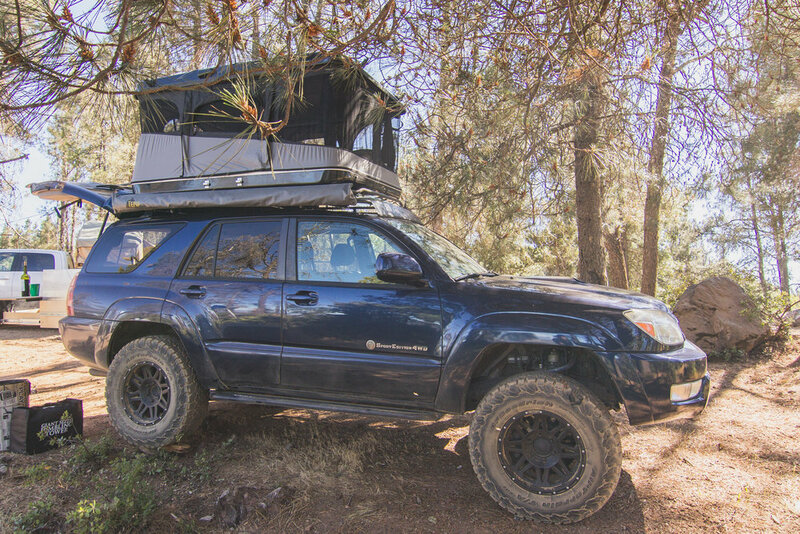 I review the hard shell roof top tent, and suggest how one can begin their tent search. 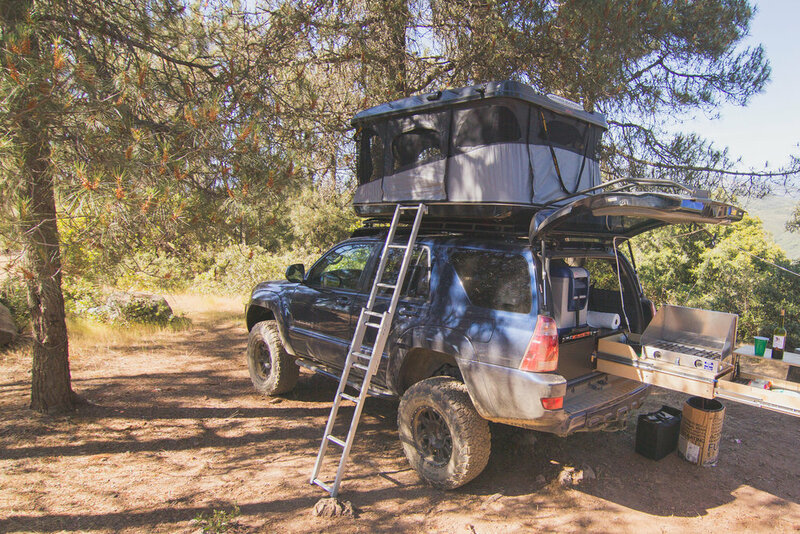 After my wonderful experience in buying this tent with OK4wd, I expressed to Rin that I wanted to write an article to showcase how happy I was in with my decision, and to provide honest feedback. Rin welcomed this idea, and encourage me to write about “whatever I wanted”. I of course, wanted to wait for my next big “Expedition”. 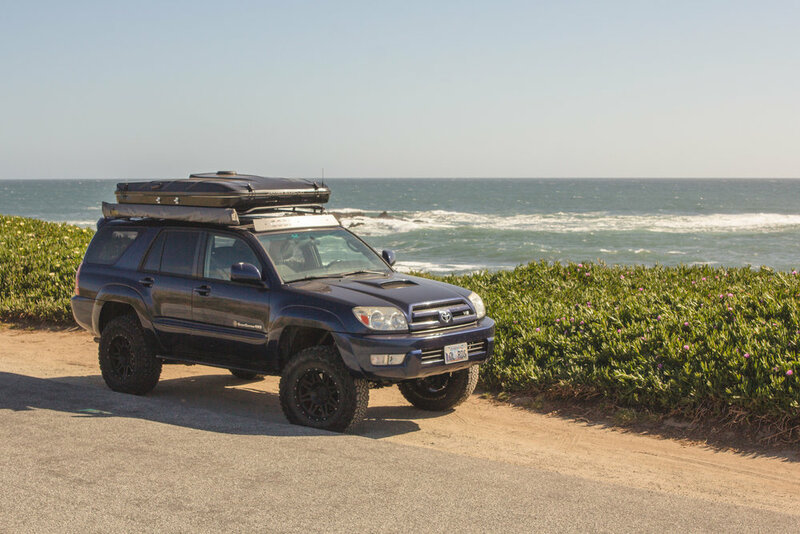 I wanted to do a 14 day trip along the West Coast to truly test this amazing product out. But you know what? Life happened. Six months went by, I had an unexpected passing away of a coworker, my brother got married, and I was busy working weekends. Just trying to keep up with day to day tasks kept me busy enough! Here lies the beauty of the James Baroud tent. During this crazy time in my life, when I had less time than ever, I was still able to go on more than 8 trips, and 20 nights in this tent. Why you may ask? Because it is that easy! Sure, we all would love to go on these amazing expeditions that we see online, but that’s just not practical all the time. We have bills to pay, jobs to do, and family to care for. 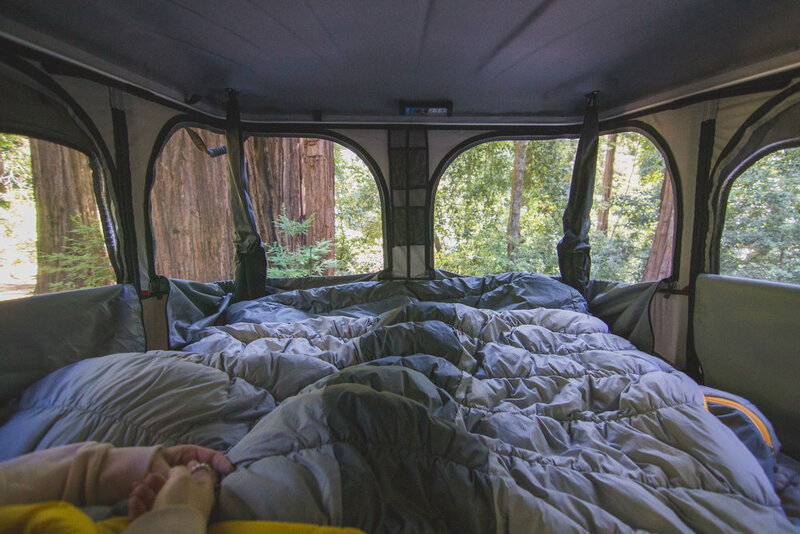 With any other tent I would have hesitated to drive two hours just for a single night’s stay, the effort, would not have been worth the reward. But with this tent- it was. 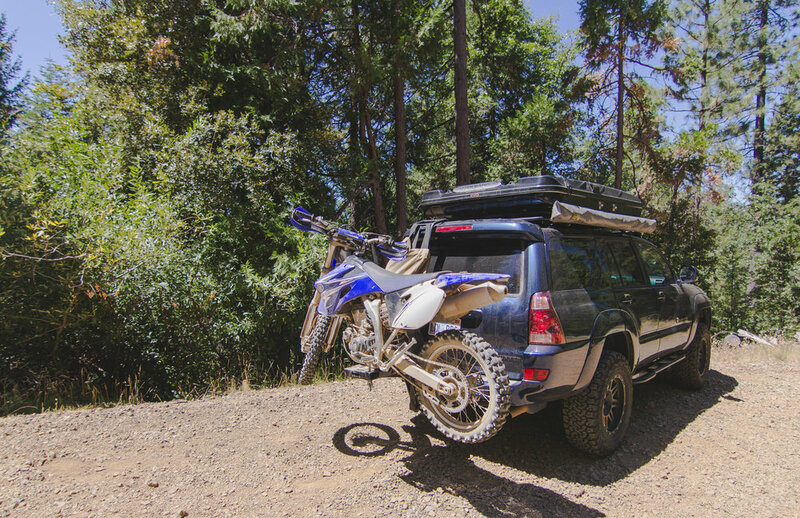 I went dirt biking through the Tahoe National Forest, and the tent was my basecamp. I saw the Perseid's Meteor Shower. 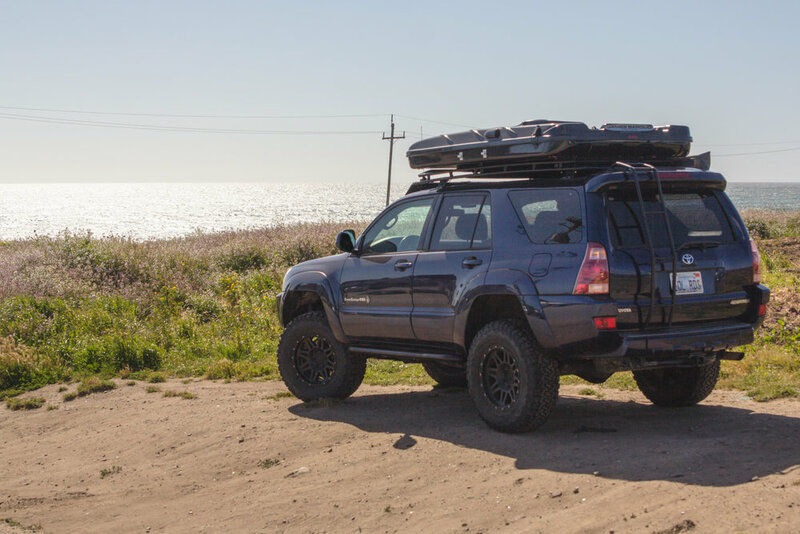 I traveled along the California coast. I woke up surrounded by giant redwood trees. I even camped lakeside with my girlfriend for a single night. This is the value that I believe this tent provides most to people. 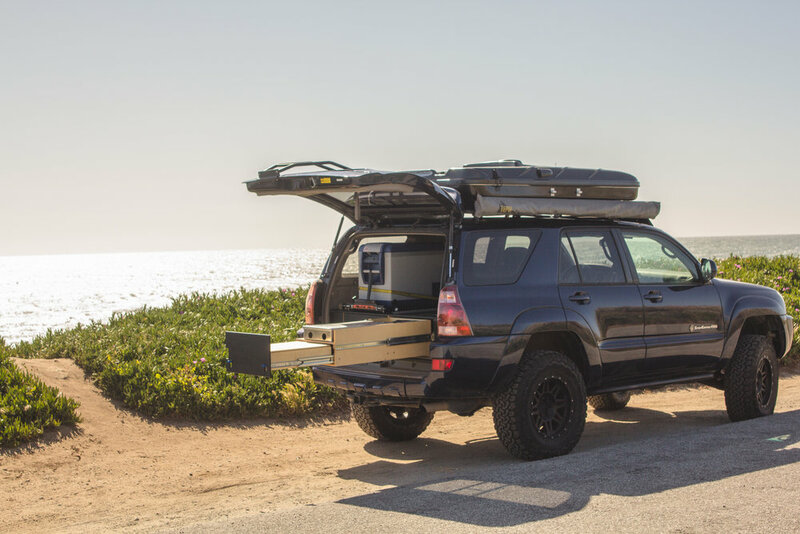 Sure, its other features may be great, and it may lack in other departments- but the reason why you buy a roof top tent is to experience something. Thanks to this tent, I was able to get away and enjoy this amazing world, and to me that is priceless. Now on to the details. The tent came shipped within a week, along with all mounting hardware needed. 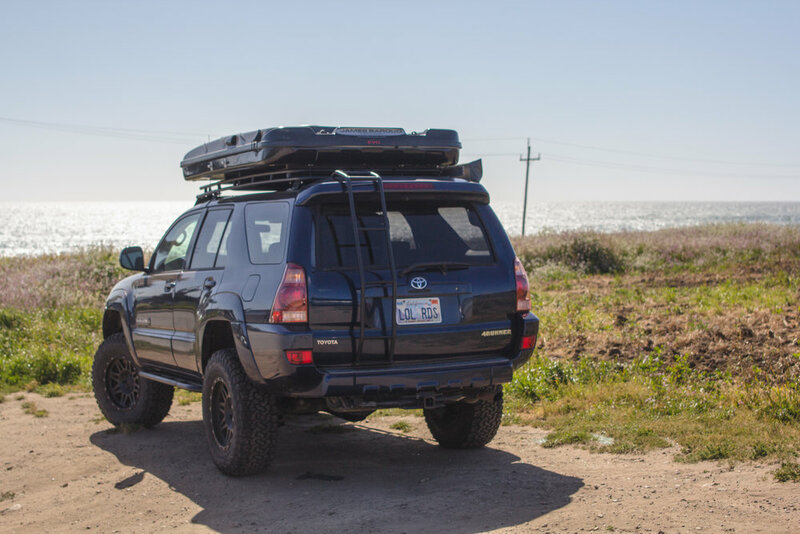 I used tap plastics to create 36" long plastic spacers that would sit between the tent, and my roof rack. This is to lift the tent so that it is not sitting directly on my awning mounts. This also allows for a quarter inch space underneath the tent, other than the direct contact of the two horizontal mounting points. Install was easy, but make sure you have a ratcheting wrench. The clamps that hold the tent closed are study metal clips that you pinch and pull to release. Then, you push up to get the tent moving, and the gas struts do the rest. Once the tent is open, you remove the ladder from its fabric storage bag, and attach the ladder to the side of the tent. As the ladder swings away from the vehicle, it locks into place. The ladder is sturdy, and comfortable to climb. With bare feet it may be a little harsh for some users, though I have no personal complaints. 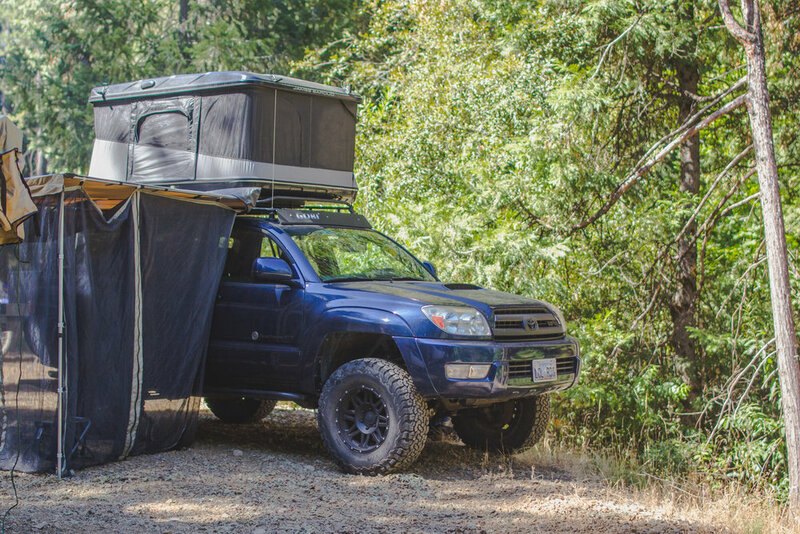 Next, you climb into the tent and push the gas struts outward. This locks them into place, and insures the tent will not close while you are inside it! Next of course, is laying on the mattress. The mattress is substantially softer than my old soft shell tent, so I have not seen the need for the additional comfort layer. Someone who weighs more than 200lbs may have a different opinion. As far as sleeping accommodations, I elected to use a NEMO Equipment Symphony Duo Sleeping Bag (sourced nice and cheap through BackCountry.com). This kept me comfy and perfectly matched the size of the James Baroud mattress. It truly does feel like I'm sleeping in a queen bed at home. While inside, I had no problems sitting up or changing. Turning the fan on to limit condensation is interesting- to say the least. You reach through the plastic fan blades and hit the "power on" button. The fan then begins to spin with your finger still in it! But don't worry, it's not powerful enough to create harm. With this fan running silently, and the side windows slightly ventilated, I did not have any condensation issues. (No I do not have an anti condensation mat). Storage inside the tent is a plenty, and I believe it is sufficient. I keep my sleeping bag, two pillows, and two sets of pajamas inside at all times. Storage outside the tent is large enough to accommodate my spare tire, and I have used bungee straps to secure gear in place. It is advised that you DO NOT use ratcheting traps as they may pop the anchor points out of the fiberglass shell. My largest gripe with this tent is the entry windows. In order to close them securely at the bottom, a velcro strip must be pushed against the tent frame. Here lies the problem, if you are INSIDE the tent, its hard to apply pressure from OUTSIDE the tent, unless you have an arm sticking out to do the trick. Though a little peeve of mine, I thought this was worth mentioning. To close the tent, I simply unlock the gas struts, and use some body weight to pull the front of the tent down. I then take the strap at the front of the tent, and hook it to the locking bracket- this keeps the tent 20% still open. I then pull down the rear of the tent, and use the rear bracket to close the tent 90% of the way. The fabric at this point should be inside the shell but if its not, I quickly tuck it in, and then lock the tent into place. With one person, real time tent closing takes about a minute and a half. With two people, it is less than a minute. Though I have yet to test this tent in the rain, the quality of the fabric (and how it reacted when I splashed some water on it) gives me confidence that it will perform wonderfully. However, I can attest to its waterproofing while closed. I leave this on my vehicle even when I wash the 4Runner, and its gets scrubbed down and sprayed with no issues. Overall I believe the build quality on this tent is a 9.5 out of 10. The seams and stitching is flawless, the fabric and Velcro is strong, and the fiberglass has no cracks, is sturdy, and has a clean black finish. The only things I would change in version 3.0 would be a solar powered interior light, and easier way to close the entry door. I am satisfied with the overall quality of the tent, and I believe it is price appropriately. You truly do get what you pay for. Thank you for taking the time to read this honest review. I hope it guides you in your search. 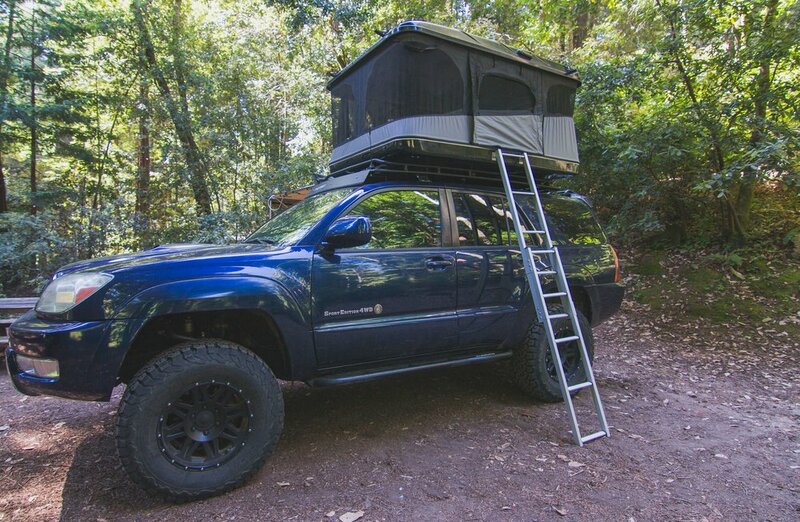 Next, I have created a worksheet for you to determine your Roof Top Tent need. I encourage everyone looking to buy a tent, to take the time to complete this as a guide, it may help insure that you are considering all factors in your purchase. I also highly suggest giving Rin a call, not only is he a nice guy, but he also is a walking wealth of knowledge and truly helped me feel comfortable in my decision every step of the way.